Swim Team Software You’ll Love! Everything you need to run your swim team and your swim meets in one powerful, web-based, swim software solution. Save time, eliminate hassle, and manage your swim team better with SwimTopia. Included with SwimTopia, Meet Maestro saves time, avoids mistakes, and makes running swim meets intuitive and easy. Our mobile app just got a whole lot better with new communications and day-of-meet features parents will love. Use with Meet Maestro and get live results during the meet. What types of teams love SwimTopia? It’s time to stop using paper or a patched-together system. Our swim software is built for summer swimming’s volunteer needs. SwimTopia has you covered with comprehensive features both coaches and boosters love, and one price for all your teams. Year-round swim teams can look forward to having an easy-to-use swim software option when it comes to swim team management. We offer free websites to summer swim leagues so they can communicate and share information with their teams and officials. Who loves SwimTopia the most? Whether you’re the team President, Webmaster, or Volunteer Coordinator, you’re going to love the way our swim software simplifies your life. Updating the team website is a breeze with our drag and drop web editing that requires no technical expertise. Organizing and managing people has never been easier with our communications tools. And SwimTopia helps you easily track volunteer participation and send reminders. SwimTopia makes the coach’s life easier. Accessing your swimmers’ time history while you create a meet lineup has never been more convenient. Our automatic relay team generation feature chooses all the relays for a meet with one click, based on the selection rules you specify. Our options for reports on swimmer performance give you all the data you need. SwimTopia swim software provides an online portal for parents to simplify their interaction with the team – whether it’s registration, volunteer sign-ups, meet entries or merchandise purchases – SwimTopia makes it easy. Parents have a My Account page with information on what they, and their kids, are signed up for at future events. Swimmers’ times histories are visible so parents can track progress and improvement. Some of our league’s teams beta tested SwimTopia’s Meet Maestro meet management software and found it to be very user friendly with an easy learning curve. 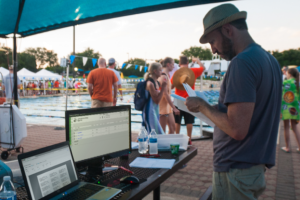 New and very experienced scorekeepers discovered Meet Maestro—working in conjunction with the CTS Dolphin stopwatch system—to be an extremely efficient way of running our meets. We have been using Meet Maestro to run our summer swim meets and have found the system to be truly intuitive. Summer league is run by volunteers who simply don’t have the time to invest in classes to learn a new system. With Meet Maestro they don’t have to. Our volunteers just sit down and get right to work with minimal direction from me. Our team used the SwimTopia Live feature in your mobile app last night – and our parents LOVED it!!!!! It worked perfectly. A mobile app like this one is super helpful to keep track of what event is being swum. Seeing real time results, instead of waiting till the end of the day, is fantastic. We will definitely use it next season at all our dual meets! For a busy swim team volunteer, it’s very helpful to have the SwimTopia mobile app available. It gives you heat results and scores in real time, and it also lets you easily track the progress of the meet so you know exactly when your kids’ next event is coming up. Thank you so much SwimTopia! I have been so impressed with your customer service as we have started using your site this year! I so appreciate all the help and we have already discovered so many ways that your system is going to make managing our summer swim team easier! I am very impressed with the customer service and willingness of SwimTopia to help answer any questions and teach me how to use the site. Setting up the payment processor – WePay – was very easy and took just minutes! Overall, you’re going to love SwimTopia, a born and bred Texas choice for your swim team! 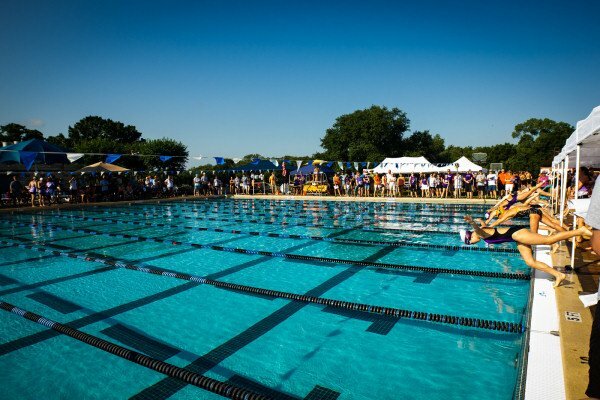 SwimTopia brought the West Houston Aquatic League together through the use of a common platform. Standardization and league management capabilities have greatly reduced our manual efforts. We are very happy with our choice of SwimTopia as a League wide solution, they’re easy to work with and listen to the needs of their customers. We LOVE SwimTopia! Imagine managing amazing year-to-year team growth from poolside, home, work – all the tools you need to register, communicate, schedule, and more – all in one place. There are countless features about SwimTopia that make it awesome, but my favorite has to be the ease of sign ups: for meets, for volunteers, for parties or whatever your team needs. It’s all done in one place and it is extremely user-friendly! Our summer team has used SwimTopia the past three seasons and it has made the administrative aspect of running a summer team so much easier. We are able to make sure we have the needed parent volunteers, complete entries in a timely manner and have a better source of communication to our parents. I would highly recommend SwimTopia for any summer team. SwimTopia’s website management tools and “snippets” have allowed us to create a more dynamic website, providing timely and enhanced information while also extending capabilities we didn’t previously offer such as an online store, online registration and volunteer sign-up. The best thing about using SwimTopia is how attentive the staff are at following up on issues that have come up, my email was responded to within hours of sending and the issue was resolved within that return email. 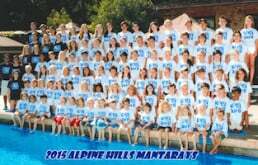 SwimTopia has helped me manage and communicate to 100 swimmers and parents effortlessly year after year. SwimTopia is the answer to all of our needs – everything we need to run our team in one place! The website we created using the template from SwimTopia was my favorite! We love how easy it was to set-up online registration for our program with SwimTopia! The Bradshaw Farm Swim Team has loved using SwimTopia these last two years, it’s made our lives so much easier. From registration to swim meets and everything in between, SwimTopia is a great program and website! Over the past three years I had been using TeamUnify. There is no comparison between the two programs, SwimTopia blows TeamUnify out of the water. Signing up for meets with SwimTopia was so easy. I was able to let my 8 yr old and 5 yr old make their event selections. They could easily see their best times too so it really helped them think about personal goals. I loved letting my kids be hands-on in their meets. SwimTopia is so user-friendly that it allowed me to delegate and involve multiple people and coaches in the management of our team — for meet entries, volunteers, activities, etc.– and kept it all accessible from anywhere. SwimTopia makes registration for your organization, no matter how complex, seamless. The online payment system was a huge hit for us! SHRSL choose SwimTopia as the new league-wide website and registration solution for 2016. I have found the SwimTopia solution easy to use, friendly to setup, and very flexible to meet the needs of our team! The data analytics of SwimTopia are exceptional, and allowed the coaches to quickly manage line-ups & scratches while also making the team rep’s lives easier through the active encouragement of volunteer sign-up. SwimTopia makes securing volunteers for our swim meets so much more efficient and now I concentrate on seeing my children swim their races! SwimTopia’s comprehensive management solution has changed the face of summer league swimming at our pools! As a team our favorite feature in general is that SwimTopia is VERY user friendly! We have many of our board members utilizing various areas and making changes with no issues and pretty much no training. You don’t feel like you have to be a web designer to use it. I love that with Swimtopia I can get my work done anytime, anywhere. I can email the team, edit meet entries, look up times and more, simply and easily on my computer or my phone. Before Swimtopia, our team had issues with correctly converted data because our league has both meter and yard pools. After Swimtopia, data conversion has been a breeze and a non-issue. Now our kids have realistic seed times to help them improve and succeed. I cannot speak highly enough about Swimtopia based upon my experience as Volunteer Coordinator. The ease of communication to families as well as the volunteer sign up and tracking features were so helpful and real-time. The Lake Marion Lasers are brand new subscribers to SwimTopia and we couldn’t be happier. It has dramatically simplified our registration, communication & data management processes. Swimtopia greatly reduced our coordination time and streamlined logistics for registrations and running the swim team. Plus it made communications so much easier! We switched over to Swimtopia a few years ago and this has been one of the best decisions for the team management ever. We have seen substantial improvements in parental involvement (especially with volunteer sign up) and a huge reduction in complaints, thanks to the ease of the Swimtopia website. 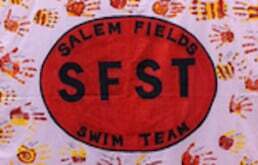 Before Swimtopia, we used one service for emails, another for volunteering and did our swimmer selection by hand, which took hours. We love SwimTopia! SwimTopia has saved us tons of time and streamlined the organization of our team. It has made my life so easy! Our coaches and parents love it! Over the past three years I had been using TeamUnify. SwimTopia is SO much more user friendly and has everything that a coach needs in one place. SwimTopia has streamlined all aspects of swim team management and communications for coaches, swimmers and parents. SwimTopia allows me to spend more time on deck and less time on the computer! SwimTopia support staff is amazing! Copyright © 2019 Team Topia Inc. All rights reserved. SwimTopia® is a registered trademark of Team Topia Inc.